Gulf crisis: Will Qatar bend? Or has Saudi Arabia bitten off more than it can chew? The quarrel between Saudi Arabia and Qatar that began on 5 June is taking unexpected twists and turns. Events are moving so fast it is difficult to foresee what would happen next week, let alone next month. Even then some equations in the Gulf and the wider Middle East appear to have changed and need to be noted. But first, a brief recapitulation of the events since 5 June: On that day, Saudi Arabia announced that it was breaking diplomatic relations with Qatar because of the latter’s support to terrorist groups and its growing closeness to Iran. Saudi Arabia also takes a dim view of Qatar’s support for the Muslim Brotherhood and Hamas; the activities of the Qatari news channel Al Jazeera; and Qatar’s position as the largest exporter of Liquified Natural Gas (LNG) in the world. The Saudis closed their sea, air, and land borders to Qatar, and gave Qatari nationals in the Kingdom two weeks to leave the country. They also called on Saudi nationals to leave Qatar within two weeks. The Saudi action was quickly followed by the United Arab Emirates, Bahrain, Egypt, and Yemen, which announced similar measures against Qatar on the same grounds. These developments took place within weeks of United States President Donald Trump’s visit to Riyadh during which he, along with the Saudis, tried to mobilise Arab and Islamic countries against Iran, describing it as the “leading state sponsor of terrorism”. The Saudis felt emboldened by Trump’s visit to Riyadh to come down hard on the Qataris for maintaining cordial relations with Iran, with which Qatar shares the largest gas field in the world. It did not help that the Emir of Qatar telephoned Iranian President Rouhani on 27 May to congratulate him on his re-election. They decided to teach Qatar a lesson, aimed at humiliating it and forcing it to break diplomatic relations with Iran, dismantle Al Jazeera, and end support to the Muslim Brotherhood, among other things. On 6 June, they gave a 24-hour ultimatum to Qatar to submit to their demands and threatened military action if Qatar failed to do so. This is not the first time that the Saudis have shown their displeasure to Qatar. They did so in 2014 also, though the steps they took at that time were much milder compared with what they have done now. Even so, it took almost eight months for their relations to be normalised. This time, the Saudis and their allies pulled out all the stops, with the aim of quickly securing Qatar’s complete capitulation. Some analysts see the imprimatur of Deputy Crown Prince Abdullah bin Salman, the impetuous de-facto ruler of the Kingdom, on the Saudis action against Qatar. He is also believed to have been responsible for launching the disastrous Saudi war against Yemen, which has turned into a major military and humanitarian disaster, with no end in sight. But, six days after the action of Saudi Arabia and its allies, the Qataris show no signs of capitulating. And some interesting re-alignments in the region are beginning to emerge. He categorically stated that Qatar would not give up its independent foreign policy and not surrender to the pressure being applied by its neighbours. Qatar has also placed its military on the highest state of alert. On 7 June Qatar officially asked Iran and Turkey for food supplies. The next day a Turkish cargo plane with fresh food landed in Doha. On the same day, a senior Russian official said that Russia was ready to increase food deliveries to Qatar but had not yet received an official request. President Trump, who initially applauded the Saudi action, was persuaded by the Pentagon and the State Department to calm frayed tempers and call for a negotiated solution to the crisis. And for good reason. Qatar hosts the forward headquarters of CENTCOM at the Al Udeid air base — the largest in the region where more than 10,000 US soldiers are deployed. So if the Saudis thought that Trump would dump Qatar, they must have been disappointed. Trump’s latest statement suggests that the US would not support a Saudi invasion of Qatar. It cannot jeopardise the operations of its largest air base in the region. It cannot permit a war between two close allies. The British and some other European nations also do not want the Saudis to invade Qatar. The Saudis cannot be allowed to become an oil and gas superpower. Therefore, armed action by them against Qatar is unlikely. 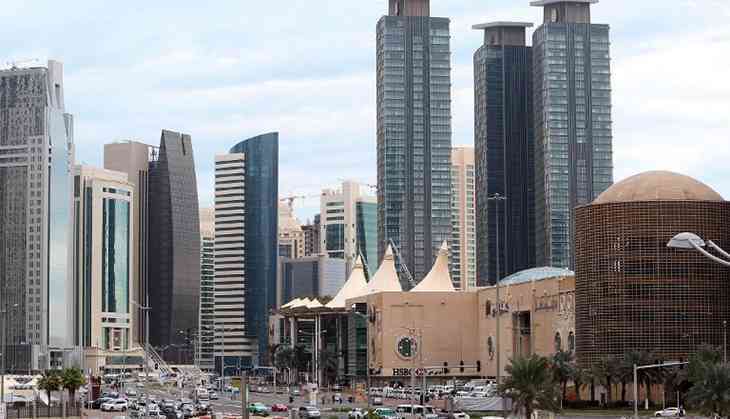 Iran — the target of the US and Saudi ire — has offered Qatar the use of three of its ports to import supplies, in addition to large quantities of food. It has also offered its airspace for Qatari flights. The terrorist attack on the Iranian Parliament and the mausoleum of Ayatollah Khomeini on 7 June — for which Iran has blamed Saudi Arabia — has pushed Iran closer to Qatar. In exchange for its support, Iran could ask for Qatar’s cooperation in Syria. On 7 June, Turkey made clear its support for Doha, fast-tracking plans to deploy hundreds of Turkish troops in Qatar, in addition to the 150 troops already present there under an agreement signed in April 2016. Finally, the Emir of Qatar, Sheikh Tamim bin Hamad al-Thani, called Russian President Vladimir Putin on 6 June and discussed the crisis with him. Qatar has friendly relations with Russia. The Russians agreed to receive the Qatari Foreign Minister in Moscow on 10 June for further talks. For the time being, they have adopted a neutral position and called for resolution of the crisis through negotiations. These developments suggest that the Saudi action against Qatar could be counterproductive. The facade of a united Gulf against Iran has already been shattered. Outside powers such as Turkey and Russia have seen in the crisis an opportunity to gain a foothold in the region which, so far, has been a preserve of the West. The Saudis have inadvertently handed a diplomatic victory to Iran. Major fault lines in the Arab world have been exposed. It is too early to figure out how and when this crisis would end. If Qatar digs in its heels — which seems to be happening — it may be a while before things return to normal. The Saudis may have bitten off more than they can chew. Only time will tell. Niraj Srivastava is a former Ambassador of India who has served in Saudi Arabia, Syria, Libya, and the United States, among other countries. Niraj Srivastava is a former Indian ambassador to Denmark and Uganda. He also served in diplomatic missions in the US, Syria, Libya, Saudi Arabia and Canada.